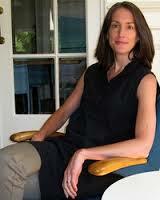 Franziska Bieri received her Ph.D. in Sociology from Emory University in Atlanta, USA. She is a Visiting Professor at Indiana Tech's Global Leadership Doctoral Program and conducts research in the areas of global governance, civil society organizations, and comparative labor markets. She is the author of the book “From Blood Diamonds to the Kimberley Process: How NGOs Cleaned Up the Global Diamond Industry” as well as a number of academic articles on the regulation of the diamond trade. Over the past decade, Franziska has designed and taught a range of Sociology courses at Emory University, Morehouse College, the University of North Georgia, the University of Maryland University College, and Indiana Tech. A frequent lecturer of distance education courses, she has extensive experience in online teaching and e-learning. Bieri, F., Imdorf, Ch., Stoilova, R., and P. Boyadjieva. 2016. 'The Bulgarian Educational System and Gender Segregation in the Labour Market', European Societies, 18(2): 158-179. Bieri, F. and N. Valev. 2015. 'Giving in Bulgaria: a non-profit sector in transition', Palgrave Research Companion to Global Philanthropy, edited by Pamala Wiepking and Femida Handy, Palgrave MacMillen: New York. Bieri, F. and R. Stoilova. 2014. 'Environmental Concern in Bulgaria: The Role of Social Trust', in Sustainability Potential of the European Semi-periphery: Exploring the relationships between environment, society and economy, edited by Dinka Marinović Jerolimov and Mladen Domazet, Institute for Social Research Zagreb and Heinrich Böll Stiftung Hrvatska. Bieri, F. and J. Boli. 2011. ' Trading Diamonds Responsibly: Institutional Explanations for Corporate Social Responsibility', Sociological Forum 26 (3): 501-526. Bieri, F. 2010. From Blood Diamonds to the Kimberley Process: How NGOs Cleaned Up The Global Diamond Industry. Ashgate: Farnham Surrey, UK.